Facebook Fan Pages are now being used by many businesses to advertise, often to the extent that it’s used as the company’s home Page, or to point users to the company website. This sort of strategy works well for small or local businesses, or those that cater to a niche market. Facebook has made some recent changes that help companies gain search engine (SEO) traffic. Another method of getting the message out to potential customers is through Status Feeds, invitations, and messages, which are considered the “viral channels.” Using SEO tactics on your Page can help your Page reach lots more potential “fans” for your business, including those that you have no direct connections to. 1. Pick a great name for your Page. While the temptation is there to stuff it with keywords- DON’T! Titles that look like spam will hurt your Page’s natural (AKA “viral”) growth rate, whereby your fans pass on information about your business and your Page to their friends, and so on. If it looks spammy, people won’t share it with their friends and will be likely to hide updates from their News Feed. Likewise, really generic names, like “real estate” or “travel” will have a negative effect, because Facebook has caught on to these generically named Pages, and has started disabling the updates on them, effectively putting these Pages out of business. The best strategy is to use the business’s real name and not to change it. Changing the name later on will cost you SEO points and a Google penalty, so pick a name and stick to it. 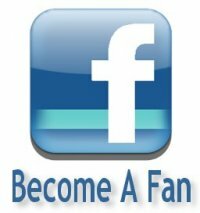 Once your Page has more than 100 fans, you have the ability to pick a vanity URL. (Facebook calls it a Facebook username.) This is a relatively recent improvement, and offers a good SEO opportunity because you can incorporate more generic keywords for SEO purposes. By combining the company’s actual name with generic keywords, you can help drive traffic to your Page. Be careful picking your URL/FB username, because it can’t ever be changed. Make sure the name you pick will work for your business now and in the future. Near the top of your new Facebook Page is an “About” box where you can add information about the business. This is where you’ll want to load up your keywords. Keyword-dense writing near the top of your Facebook Page is very SEO-friendly. Facebook limits where you can put lots of information, and this area is highest in the CSS structure on the Page where you can add text. To add text here, click the box under your profile picture on your Page, where it says “Write something….” The character limit is 250, so be sure to use the best, most relevant keywords while choosing your message wisely. Every Facebook Page also has an “Info” tab that has metadata about the business and the Page. Filling this information out completely will increase the content score of your Page for lots of Google searches. For instance, the address, city, and zip code are important when someone does a local search. Company overview and products are important for product-specific searches. The websites field allows you to add direct links to your site or to other important sites. If this information is displayed on your Facebook Page, it makes it easier for potential customers to find you both on and off the site. Just like blog postings, the more often your content is updated and refreshed, the better your page will rank. It is vitally important to constantly update your page with interesting and relevant information. When you share a photo, be sure to use the caption field to add a description of it, and use keyword-dense text. When adding events, make sure you use keywords in the description field to help you rank higher. Also, adding a discussion forum can help you to naturally rank higher for your specific keywords. Content shared on Facebook Pages is indexable by search engines, so use that capability to your advantage.